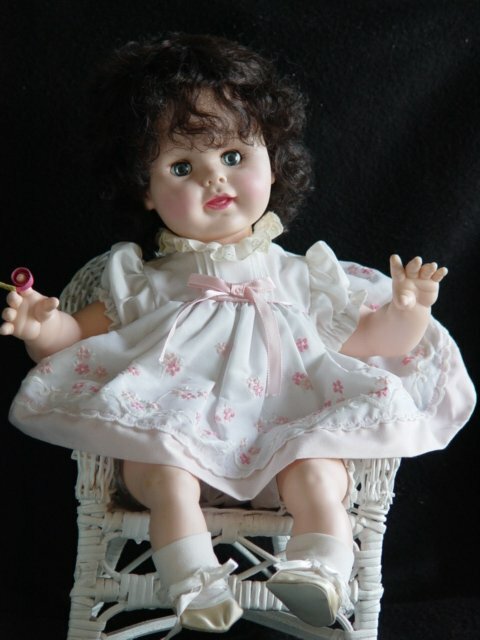 We have dolls, bears and accessories for children and collectors, new to vintage you'll find it here. From the Baby’s First series, Baby’s First Birthday was only made for one year. 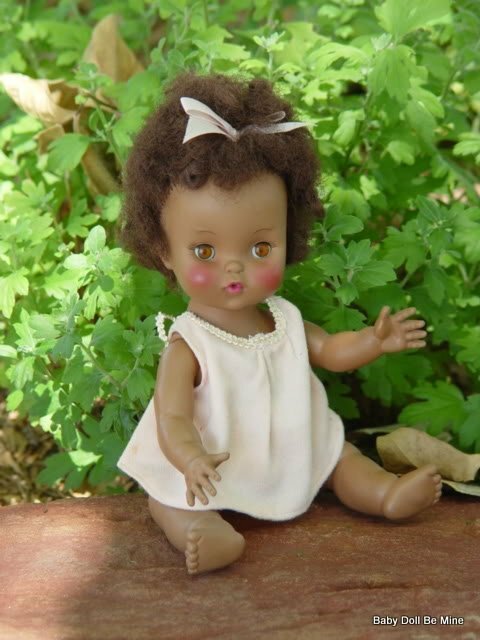 This baby is wearing her complete original outfit and is in excellent condition. She is 18 inches long with big blue open close eyes. She must be a very happy baby on her special day because her crier does not seem to be working. Still a wonderful doll that is not easy to find. 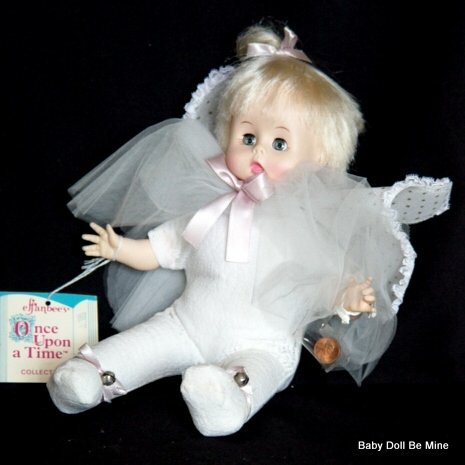 © 2019 Baby Doll Be Mine, All Rights Reserved.